Credit card fraud is a huge problem for online retailers for more reasons than you might think. While fraud comes in many forms, there’s one type of fraud that’s especially pernicious because it targets multiple victims in a single transaction. It’s called triangulation or sometimes triangle fraud and it has already hit several major direct sales companies. To break down triangulation, first let’s talk about its non-fraudulent cousin, arbitrage. Let’s say I’m an arbitrager. First, I browse a well-established ecommerce shop, like Amazon, for items that I think look underpriced. There’s software out there that will automate this step if I’m willing to buy the right tool. Amazon is a common target for arbitragers. But I could just as easily browse your MLM’s ecommerce shop at this stage. Second, I copy the item’s listing from the shop and create an identical listing on another ecommerce platform, like eBay. On my copycat listing I give it a slightly higher price. Third, somebody sees my listing. They don’t know about the identical listing on Amazon and they don’t look around and price compare. This shopper sees my listing, thinks it has a reasonable price, and buys it. Fourth, I order the product from the original shop and have them ship it directly to my customer. This is called drop-shipping—handing off an order to a manufacturer, a wholesaler, or another retailer for fulfillment. Drop-shipping t’s a legitimate business practice in many cases. At the end of the day, the original retailer gets paid at the price point they set. I pocket that small mark-up I put on my listing. The customer gets her product. Although everybody gets what they want in this scenario, the company loses a degree of control over their brand and their image. When it happens to a direct sales company, they also lose that all-important personal touch. MLMs have gone to court over individuals reselling their products online, even without arbitrage in the equation. Another problem might come up if the customer puts two and two together. She might notice that the item she bought on eBay came in Amazon packaging (or your branded packaging). Maybe she’ll check the Amazon listing, and realize she didn’t get the best deal. If she returns the item to me (the arbitrager), I’ll return it to Amazon to get my money back. I might even get to pocket a restocking fee depending on the rules of the marketplace I’m operating in (which might be as much as my original profit or even more). But Amazon or to the company selling their product on Amazon has to bear the burden of that return. If the item is open, used, and no longer sellable, the cost to the original retailer might be substantial. Triangulation is a lot like arbitrage in terms of the mechanics. The primary difference is that the fraudster buys the merchandise with a stolen or fake credit card. I—now a fraudster instead of an arbitrager—post a copycat listing for a product I don’t have. Instead of raising the price, I lower it. At my unbelievably low price, someone will order it. Then when someone orders it from me, I buy it from the original retailer (with a stolen or fake credit card) and have it shipped directly to my customer. The customer still gets the product. I get to pocket a larger profit while paying nothing. And—once the stolen credit card is reported and the charges are reversed—the original retailer foots the bill. The true owner of the stolen card that I used. If they dispute the charges in time, they won’t end up paying for it. The customer who paid for the product. Depending on how the original retailer handles the fraudulent transaction, the customer may have to return the product without a way to get their money back. The original retailer. The retailer typically bares the greatest cost. A legitimate seller (whether they’re operating on eBay or some other platform). In some cases, legitimate eBay sellers get mixed up in triangulation without even knowing they’re participating in fraud. Fraud rings will reach out to sellers who have high customer satisfaction ratings. The fraudsters ask the sellers to sell from a “catalog of products” for a cut of the profit. These sellers join the scam without ever holding the product or realizing where it truly came from. Sometimes, retailers try to recoup the product or obtain payment from the end customer. The problem with this is that the customer already paid for the product—they just paid the wrong person—and has no recourse to get their money back. When they made the purchase, they had no idea that they were participating in a fraudulent scheme. The customer is a victim, not a perpetrator. Going after the customer is also a good way to make sure they won’t continue to be a customer, so we can’t recommend this methodology at all. Like we mentioned when we discussed arbitrage, the customer might realize on their own that the transaction wasn’t what it seemed when their product comes in branded packaging or with a packing slip directly from your company with an incorrect payment total. Instead of trying to extract payment you might want to contact the customer, tell them what happened in a non-accusatory way, and encourage them to buy direct next time. This is also an opportunity to gather information about the fraudulent seller if the customer is open to discussing it with you. Reaching out can foster good will toward your company. The customer will know that you absorbed the cost of the fraudulent transaction and might go from a casual buyer to a loyal consumer. What you really want to do is go after the fraudster—but they can be highly sophisticated and thus difficult to catch. One thing you can do is to collaborate with the marketplace (like eBay) to identify other orders that may be part of the scam or to help identify the sellers and the fraudsters involved. Regardless of the kind of fraud you’re experiencing, the best thing to do is to partner with a fraud detection and prevention company. You really can’t survive today without professional fraud prevention. The face of fraud is always changing, so you need specialists on your team who stay up to date with the latest schemes. But there are also things you can look out for that might tip you off to triangulation happening through your site. Often fraudsters will “enroll” their customers with the company without their consent. When they do this, all their accounts will be in the same downline—often, but not always, in the orphan tree. If a large downline appears in your orphan tree, it might be cause for alarm. Another sign to look out for is multiple accounts with the same email address or login credentials. You should be especially wary of such accounts if they occur in one downline. If you spot these warning signs, and you don’t currently work with a fraud detection and prevention firm, it’s past time to make that change. 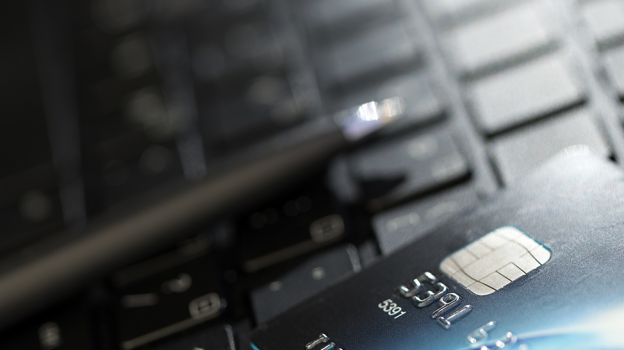 Don’t wait until you’re facing massive chargebacks. Many direct sales companies think of themselves as small, grassroots types and try to get by with the lowest cost options available. What could be lower-cost than doing nothing at all? But if you wait too long, the cost of fraud will eat deeper into your profits than the cost of working with a reputable partner.